To save you countless hours of searching online for large folding beds for heavy people, we thought it would be a fantastic idea to put them all on one page so you can pick and choose your favorite heavy duty folding bed. 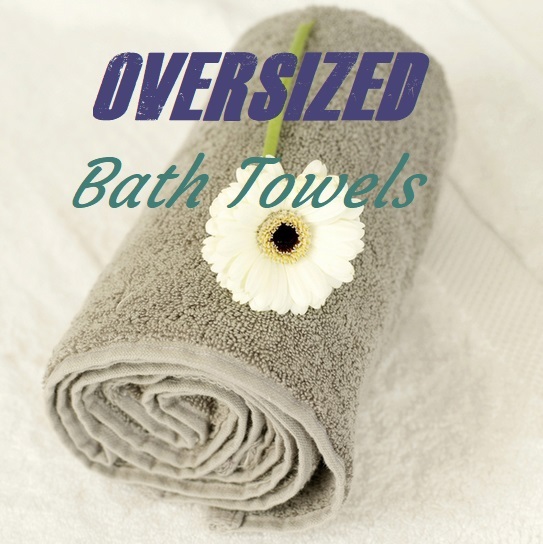 I know all to well how hard it is to find appropriate size related products , it’s a nightmare. Sometimes you simply don’t even know where to start looking to buy a 250 lbs+ folding bed. So you turn to the internet just to go from review to review and when you finally find a folding bed you like, you’re very quickly disappointed. ‘Not suitable for people over 250 pounds’. Irritating to say the least. Fortunately such high weight capacity folding beds for big people do exist. It’s just a matter of digging deeper. But this can take hours upon hours of researching and who has that sort of spare time these days. Well we do, and just recently we were looking to buy a folding bed for our extra large Brother in law whom was coming to visit us for the holidays. So to save all of you hours of your time, we have done the hard work for you. By narrowing down the potential list of 100+ folding guest beds to just a handful of suitable plus size folding beds. We have tried to include only the important details that us big people care about, in particular: High Weight Capacity!. Which reminds me, there’s something that’s not listed on this page but may make a great alternative for you is a 600 pound monster of a camping cot, I’m still convinced it’s the best guest bed imaginable (Plus I can use it to go camping and on fishing trips, when permitted of course). *Note: For folding beds with wheels, check out the Heavy Duty Rollators Up To 500 Lbs. 6 Is Jay-Be The Future Of Folding Beds? The Simmons bed is the a good value 300 lbs capacity folding bed. It boasts a minimal 7 inch fold away size, which is nice and compact. This includes the 3 inch memory foam mattress folded up as well. The memory foam mattress itself is nice and firm, without being too hard. 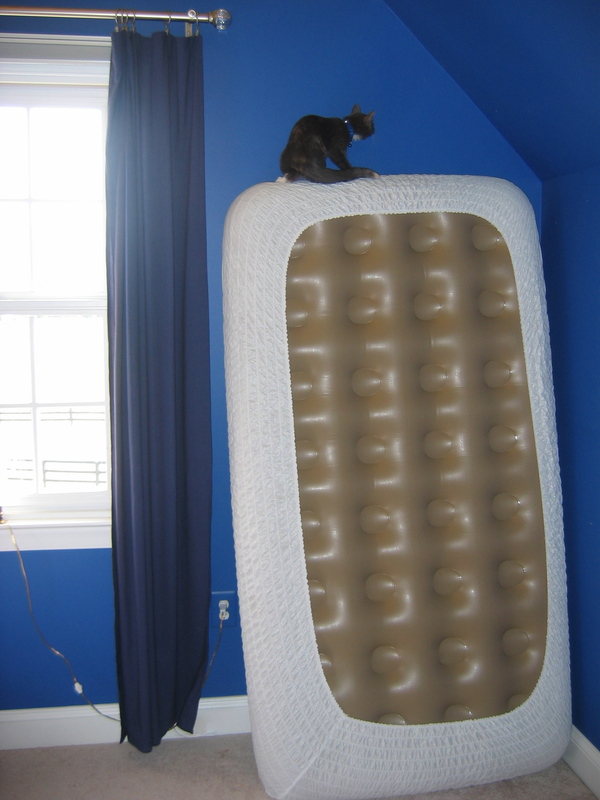 It contours to the shape of your body and should be sufficient alone without an additional mattress topper. However it you are edging in on 300 pounds, I would suggest the purchase a decent mattress topper for potential longevity of the folding bed. The super comfortable mattress is finished with a quilt stretch knit cover which can also be removed for washing purposes. Features a anti collapse mechanism: Bolts in corner of frame to assist in preventing unwanted collapsing during the night. Simple to pack away – Tuck the mattress behind the legs and folds away to a compact 7 inches wide. No screw removal needed which I love. This is one heavy duty all steel folding bed built for high weight limits. With a 375 pound capacity and one tough support frame, this folding bed is an option for big and tall people. This bed goes the extra mile for providing a sturdy and reliable foundation. With not just 1 support bar in the middle like you commonly see on other folding beds, the XK-3 has double support legs in the middle. Which sure as heck makes me feel safe sleeping on this tank of a bed. Made by Blantex who are famous for making sturdy military and relief cots. This alone is enough to sell me on the amount of experience and reliability behind this folding bed. The wide mattress measure in at almost 30 inches and 72 inches in length, which also happens to be flame retardant according to the specs. The mattress is supported by a 44 support rings with a steel coil suspension which is a great sign of a really durable folding bed that will hopefully go the distance for you. Considering the heavy duty build behind this guest bed, it’s rather comfortable. Even for the bigger Man. However as it’s rated to over 350 pounds, I do suggest adding an extra layer of comfort. 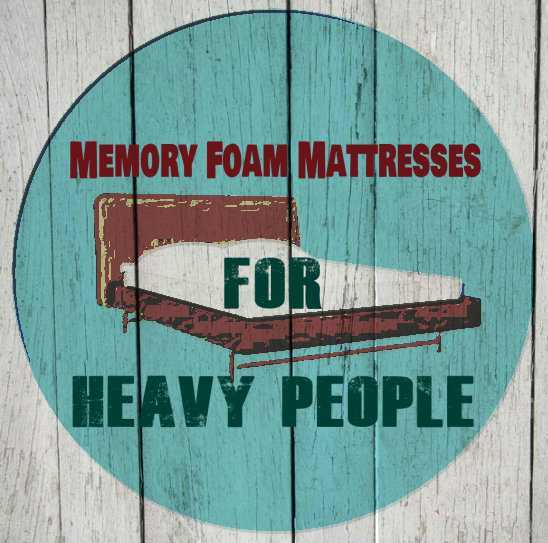 Either a mattress topper or another memory foam mattress. The bed folds away pretty easy and slides under most normal height beds. My only negative to this bed is that you must be careful getting into it. Make sure all the outer legs are kicked out as they should be, or you could end up collapsing during the night. But a quick check over before jumping in, and you will be right. Excellent value for such a heavy weight capacity folding chair. If you’re in the tricky weight range where standard guest beds are a little troublesome yet you don’t feel the need to buy a massive oversized folding bed, the the iBed in a box could be an option for you. Capable of holding up to 275 pounds, this iBed is a quick and easy folding bed great for any slightly overweight person. It’s so compact, only 5.5 inches and easy to to fold down for portability and storage. Minimal issues fitting this bed into most boots or under the bed. Setting up is a breeze and requires no assembly ever!. To set up this iBed it’s just a matter of flicking the top latch up and locking the safety leg locks on each end. Fold out and slide the 2 inch mattress on top. Then your guests or yourself are set up for a good nights sleep. While the iBed is a considerably lightweight bed (15-20lbs) don’t be fooled into thinking this is not a heavy duty folding bed. One thing that really annoys me is when well made products comprised of steel are let down by inferior plastic levers, locks, switches or any moving part. This makes the heavy duty rating null and void in my opinion. Fortunately the iBed shouldn’t disappoint here. With all the important parts being made from solid steel. That’s the reassurance I need as a big Man, especially when it comes to sleeping. The base is made from a tough nylon mesh material held together by a steel bar and sturdy springs. It looks of high quality and one that will potentially last for a very long time. The spring support system also adds to the overall comfort level on this folding bed. Even though it does tend to creak every now and then (nothing some spray cant fix), I still find this iBed to be a awesome option. Is Jay-Be The Future Of Folding Beds? Highly popular in the UK (amazon.co.uk), the Jay Be folding beds are now in America.. After watching this short video, I know I sure do want to test one of these Jay-Be folding beds, they look amazingly comfortable and wide! Now available to buy in the U.S! See link below for more details. Which model of folding bed are you wanting to know about? Looking for full size sleeper.